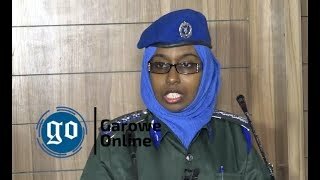 MOGADISHU, Somalia, March 27, 2015 (Garowe Online)-Officials have said Somali special forces broke Mogadishu’s Maka Al Mukarama standoff, killing five terrorists in operation that lasted four hours on Friday evening, Garowe Online reports. 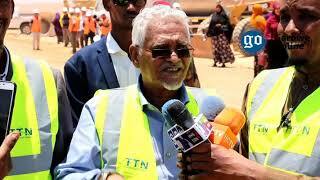 At least ten people including Somalia ambassador to the UN Human Rights office at Geneva Yusuf Mohamed Ismael Bari Bari have been confirmed dead. Left hand drive vehicle, Toyota Noah packed full of explosives initially went off, followed by five Al Shabaab gunmen in military fatigues who began shooting their way into the Hotel popular with Somalia Government officials and foreigners. Photographic images taken from site of the terror attack show victims lying in pool of blood. Hotel mirrors are said to have been broken into shatters after a suicide bomber blew himself up in the lobby. At least 20 people-soldiers, Somalia government officials and hotel staffers-were wounded in the hotel standoff. A spokesman for Al Shabaab terror group said while speaking to Reuters News Agency, they are responsible for Maka Al Mukarama hotel storming. The attack marks the second in March alone as an attempt to bomb the hotel got botched earlier. Frequented by Somali government officials, Al Shabaab targeted Maka Al Mukarama with two suicide bombings in 2014. 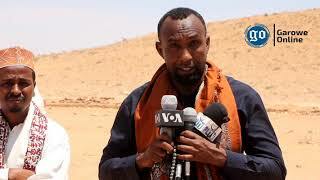 Hotel owner Gurey Haji Hassan said on VOA Somali Service that security services and Hodon district officials are partly responsible for the bombing of his hotel. Federal Government of Somalia’s President Hassan Sheikh Mohamud has praised the professionalism of security forces, calling the attack ‘cowardly and futile’. 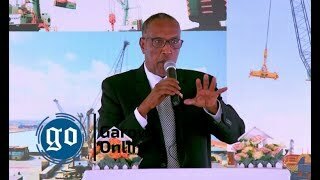 He said the deadly rampage would not derail efforts to steer the country forward, and asked security agencies to launch investigations into Al Shabaab attack right away. 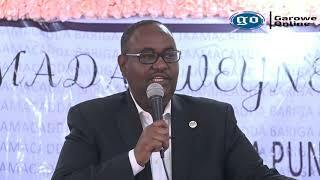 Meanwhile, Puntland leader Abdiweli Mohamed Ali sent his condolence to the bereaved families of late Bari Bari, and wished swift recovery to the wounded people.